It’s January and more than a few of us are feeling completely spent from the holidays. Literally. The winter season is tough on our skin, hair and our wallets. After weeks of shopping and stacks of bills piling up, January is a time for thrifty resourcefulness. Smart beauty means never paying too much. Knowing a few do it yourself beauty remedies can really help you save money. This month it’s about taking a break from all the holiday madness—the overindulging with rich food and alcohol, and the staying up and out way too late—things that wreak havoc with our skin and hair. With dry, flaky skin and flat, static-stricken locks, it’s time for a little DIY at-home, self-pampering using inexpensive, common items you have around the house. After a season filled with honey-glazed ham, Christmas cookies, and approximately two thousand peppermint lattes, the fridge is probably the last place you want to turn to. However, there are more than a few excellent beauty ingredients hiding in your kitchen. Avocado acts as a great moisturizer and skin softener due to its high, unsaturated fat content. Mash the pulp into a paste for a quick and easy hydrating facial treatment. You can also combine plain yogurt and oatmeal to make a hydrating mask. Yogurt is especially good for dry, sensitive skin. Leave this concoction on for about 10 minutes for a wonderful skin softener. Legs can be a ghastly sight after suffocating under jeans and tights all winter long, so show your gams a little TLC by sloughing off the dry, excess skin. Add oatmeal or sea salt to your favorite body wash or gel for a really effective exfoliator. Or for an invigorating citrus scrub, dip half of a lemon, pulp side, into common table salt and rub over rough spots like elbows, feet, and knees. The lemon contains acid that rejuvenates and revives skin while the salt detoxifies by helping draw waste out of the skin. Tip: Don’t use sugar, it dissolves much faster in water than salt! Try olive oil as a hair conditioner, or heat it up for an at-home hot oil treatment. It also works great as a makeup remover, and you can even rub it on your cuticles to keep them from peeling and hang nails at bay. Add a quart of full-fat milk to your bathwater for velvety skin. Relax and soak away in the tub while the lactic acid smoothes skin and acts as an anti-inflammatory agent. Cleopatra used to do this! You can also add baking soda to a warm bath. Add one teaspoon with two teaspoons of salt and 3-4 drops of your favorite essential oil, like lavender or sandalwood. Baking soda creates an alkaline solution in the bath, which tends to make the body release dead skin cells. If your cupboard is bare of all but a can of Who Hash, there are other common household or inexpensive drugstore items you can work into into your beauty regimen. Vaseline. It’s one of the cheapest, most versatile, and all time greatest beauty products that actresses and models swear by. The oils in Vaseline help to keep it slick and spreadable so that it flows into the many surface cracks and crevices of the skin, forming a protective barrier that seals in moisture. Rub it all over your feet at night and wear cotton socks while you sleep to smooth out rough spots, or slather your hands with it before wearing your gloves to help retain hands’ natural moisture. You can even use it as brow gel to keep thick brows in place and as a cure for ultra-chapped lips. My personal favorite Vaseline trick is to mix a small amount with any powder makeup to make a cream formula of the original. Creamy products are ideal for dry, winter months, so combine Vaseline with your favorite eyeshadow or blush to create a dewey, youthful, glowing complexion. Essentially, Vaseline will do the trick effectively and cheaply, no matter which way you choose to implement it into your beauty regime. Witch Hazel. Use it as a toner. It is the perfect astringent because it doesn’t strip the skin, but does remove traces of oil while making the skin smoother. It will also reduce the inflammation that comes with the occasional pimple, often a result of holiday overindulgence. 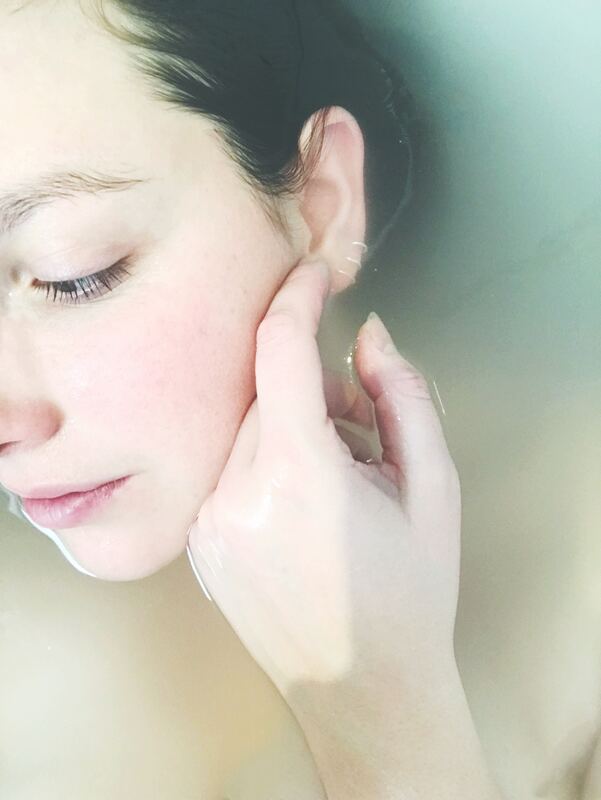 Try this at-home facial that will help gently clean out blackheads: Put your head over a bowl of hot, steaming water and cover with a towel. Allow the steam to work its magic on your face for several minutes, taking care not to burn your face. Follow with a mild face wash and finish with a splash of cool water to close pores temporarily. This can also help clear a stuffy nose! Over the counter products from your favorite drugstore rival many upscale department store versions; continue to improve with better quality ingredients; and won’t turn your budget upside down. For the ultimate in fun and savings, host an at-home day spa with a friend or two using these techniques and recipes. After a season of overindulging, an in-home treatment with your best gal pals will leave you feeling refreshed and relaxed.